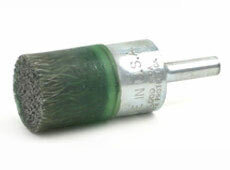 When you need brushes that will provide aggressive cutting action for removing paint, rust, rubber flash or for deburring, surface blending and surface preparation, encapsulated cup and wheel brushes can help. 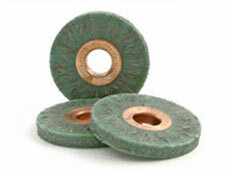 These cup and wheel brushes provide fast and positive cutting action and are most effective on flat surfaces. Browse the selection below and contact a distributor near you to order your encapsulated cup and wheel brushes.